Kriti Sanon's Luka Chuppi is all set to clash with rumoured ex flame Sushant Singh Rajput's Sonchiriya on 1st of March, 2018. While, Kriti has taken the internet by storm with her powerful appearance during the promotions of Luka Chuppi, Sushant Singh Rajput is just interacting with media. Kriti Sanon has engaged everyone with her one-of-a-kind style game for the relentless promotions of Luka Chuppi. As the actress gears up for her first release of the year with Luka Chuppi, Kriti Sanon has been making a mark on the audience with her impeccable choices of characters. After Kriti's brilliant performance in the film Bareilly Ki Barfi (2017) as Bitti Mishra, the actress is all set to treat the audience with yet another noteworthy character. 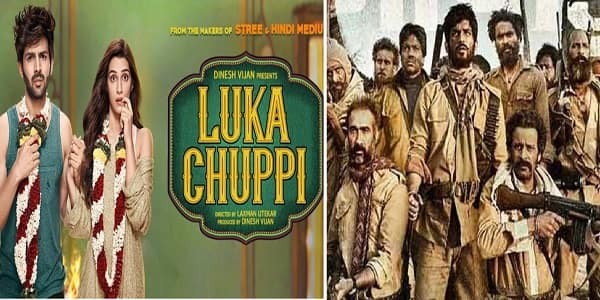 Owing to Kriti's fanbase, as per reports, Kriti Sanon's Luka Chuppi will see a bigger opening than Sushant's Sonchiriya. Since both the films are releasing on the same day we are excited to watch two former co-stars clash with each other.